On Wednesday March 26, 2014 the citizens of Charlotte learned that their mayor of only five months had been arrested on federal charges of influence peddling. The 42 page criminal complaint filed in federal court outlines an approximate four year investigation into ex-mayor Patrick Cannon. The Complaint outlines an investigation that began with then city councilman Cannon and though his brief time as Mayor of Charlotte. 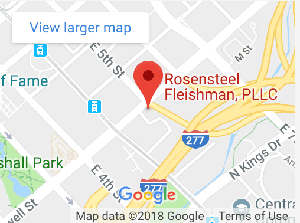 After the arrest the local media called on Rosensteel Fleishman to explain the criminal charges as well as some possible defenses. As the criminal complaint outlines Mayor Cannon took over $40,000 over a period of time in multiple installments. There was video and audio of Mayor Cannon accepting money for a zero expected rate of return. At first, it could be argued that this was for seed money in an unknown feminine hygiene product. However, as Mayor Cannon gets deeper into the operation all ambiguity melts away and it appears to be pure influence peddling. While there may be some defenses like entrapment or lack of intent on the part of Mayor it will be very difficult for the defense to explain the money. The FBI used marked bills and the transactions were caught on audio and video. Many times the FBI will have reams of evidence against a defendant before moving in to arrest the subject.